Uftring Auto Blog: October is Car Care Month! Is your car ready for another Illinois winter? 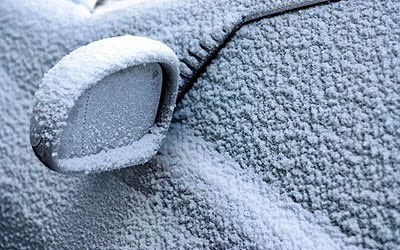 Snow, ice and chilled temperatures are three ingredients that can make any unserviced vehicle a recipe for disaster. Stay up-to-speed on servicing your car before that Illinois winter weather hits- there are many benefits to regular vehicle care! Winter is a time of year you can't afford to skip out on servicing your car. Car Care Month is the perfect time to ask your mechanic any questions you have for the coming months, and research any precautions you should be taking as this colder weather is approaching. Look at servicing your vehicle as a routine doctor's appointment for your car. You wouldn't skip your own doctor's appointment, would you? Neither should your car. Checking up on your car's health is important in keeping you safe and overall will save you money on down the road as your mechanic will solve your vehicle's mechanical problems before they become major and costly. Check those tires! Do your tires need realigned? Are they fit for the road, are they prepared for snow and ice? It's important to check your tire pressure weekly in the winter months as tires lose pressure during colder temperatures. Don't forget: We offer a 30 day Tire Price Match guarantee! If you purchase select tires from us and find a better price within 30 days of your purchase, we'll refund the difference. See us for details. When's the last time your brakes have been checked? Have a peace of mind when that first snow storm hits so you can feel safe and trust your vehicles ability to keep you on the road. It's the worst when your heating system doesn't work properly right when you need it. A properly functional heating and cooling system is crucial in overall interior comfort to keep the kids warm in the backseat, but also to ensure your car's ability to defrost properly. Are your windshield wipers working? It's hard to defrost the ice and snow off of your car when you're using old wiper blades. Invest in new blades often, they can tear or crack and cause them to not work as they should. Talk to your mechanic this season to ensure the safety and reliability of your car before its too late. Looking for a mechanic? The Uftring Auto Group dealerships have been servicing vehicles throughout central Illinois for many years. Our dependability has created trust from our costumers to ensure that every vehicle we service has only been taken care of by the best. "If we wouldn't sell it to our family, we wouldn't sell it to you." Same motto goes for our service! Visit any of our six dealerships for the best auto service in Peoria, East Peoria, Morton, Washington and Pekin. Stop by Uftring Chevy in Washington, Uftring Weston Chevy Cadillac in Peoria, Uftring Nissan in Peoria, Jaguar Land Rover Peoria, Uftring Automall in East Peoria, and Uftring Chrysler Dodge Jeep Ram in North Pekin! Express Service is available at select locations.